We started JC Motors in 2010 as a regular motorshop. Like everything in life, John doesn’t like to do what everybody already does. So in 2011 he started to build a caféracer. For that he used a BMW R100 and the first out of 25 JCM’s was born! Because this is such a success, we decided to make some changes within JC Motors. Now JC Motors.nl is active for, service/repair/overhaul/expertise/restoration and ACE13 will be the customising part of our company. So each bike that will be customised by us will now be an ACE13 special and naturally the JCM’s will also be represented here as well. There are three responses to new motorcycles yes, no, and WOW! Wow is the one we aim for. We do custom bike work. Whether it’s a big or small job or adjustment, anything is possible. Would you like a different rear, with a new customized seat? (Single or double – your choice) Or perhaps your bike is just fine but you would like to make some minor changes. A new seat position, handlebar, or even a paintjob. No problem! We are a family owned business and take pride in our work. Customer satisfaction is our priority. We love what we do and it shows in the quality of our workmanship. So don’t hesitate to call, email or just drop by. We work on all brands of bikes and look forward to discussing any work you may require. There are a couple of things we do standatd when we make an ACE13 Special. Engine, Gearbox and shaft are completely taken apart, cleaned and reconstructed again. It doesn’t matter if you supply a bike or we provide one for you. We can discuss the possibilities/requirements first and when an agreement has been reached a date can be set. Also for these projects, the brand doesn’t matter…but the result does! Over the years motorcycles have been categorized as Caféracers, Scramblers, Dirt Tracker, Bobber for example. Here at JC Motors we are Always trying to think outside the box. 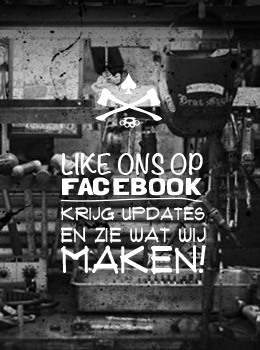 Although we build motorcycles as listed above our passion is to custom build something different every time. Most important is that we build things we like. 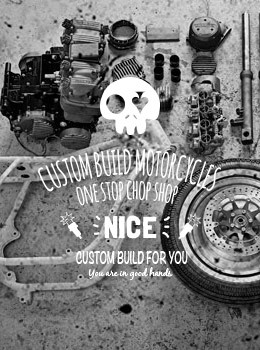 For everyone who would love to have a custom built bike, we can build your ACE13 special!